When it comes to protecting ourselves from severe weather, we often forget about the outside of our homes. 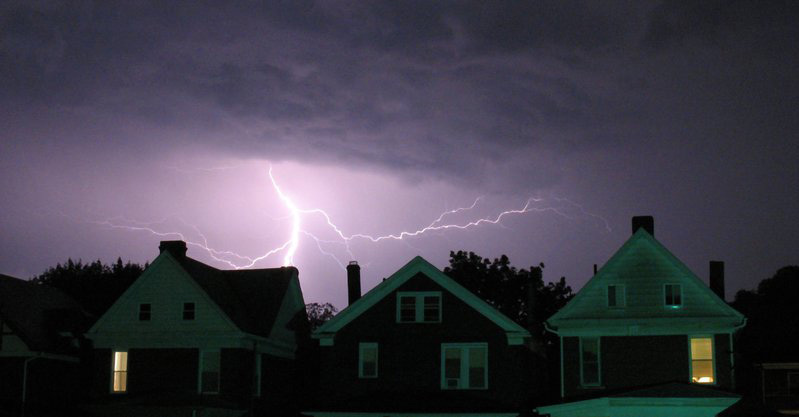 Protecting your home from severe summer storms is hard. Take these preventative steps to help you avoid damage to your property. Your HVAC system is a significant investment, and damage from severe weather can end up in costly repairs. There are a few steps that you can take to protect your air conditioning unit from severe weather storms. Next time severe weather is coming towards you, remember these tips to make sure your system is always safe during any storm. One of the best steps you can take to protect your unit is to turn off your system. A lightning strike can cause significant damage to the electronics of your air conditioning system. If you know severe weather is on its way, remember to turn off your system until the weather passes. you know the summer will be filled with a lot of storms, we suggest purchasing a surge protector for your home. A large surge to the electronics in your home can cause a lot of damage for you later. A surge protector large enough for your whole home will protect all your electronics, including your AC unit. A cover for your air conditioner will protect your unit from heavy rain or hail. When purchasing a cover, make sure you buy a cover that lets your system “breathe,” because a cover that doesn’t can create airflow problems and trap moisture in the air conditioner. As a result, trapped moisture can lead to damage and potential mold growth. Follow these tips next time there is severe weather in your area, and your unit will be protected from potential damage. If you do have to deal with unfortunate damage to your air conditioner, call Breedlove Dobbs, and we will help get your system back to normal again.